Alice Lon was born and raised Alice Wyche in Kilgore, Texas. 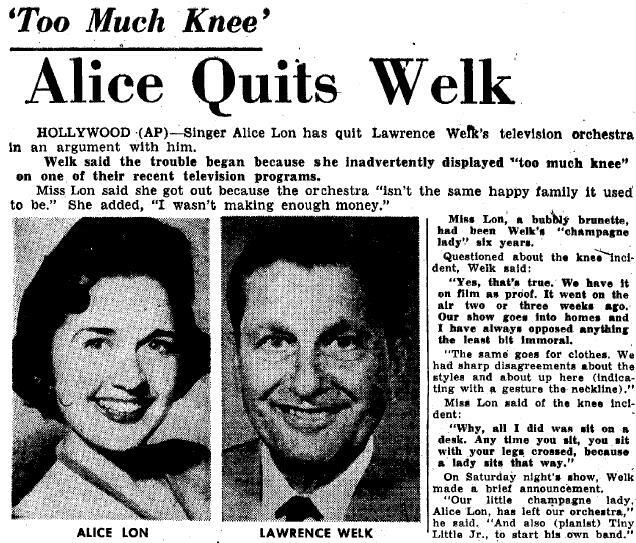 Prior to joining Lawrence Welk, Lon was a Kilgore Rangerettes, a local singing group, as well as the Don McNeill Breakfast Club. 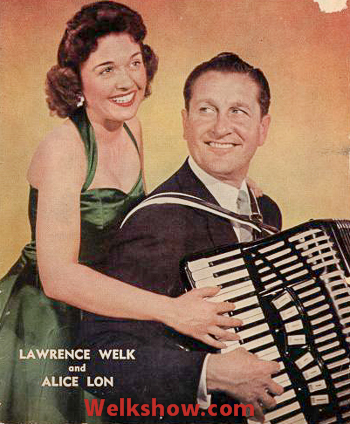 Lon auditioned for the part of Champagne Lady in 1954 following a nationwide search by Lawrence Welk for the recently departed Roberta Linn, who left to do her own TV show with CBS as a radio show with Ralph Storey, emcee of the $64,000 question. Lon almost never had the chance to perform on the show, however. She was robbed at gunpoint at her house, forced to disrobe and watched as the assailants beat up her husband. 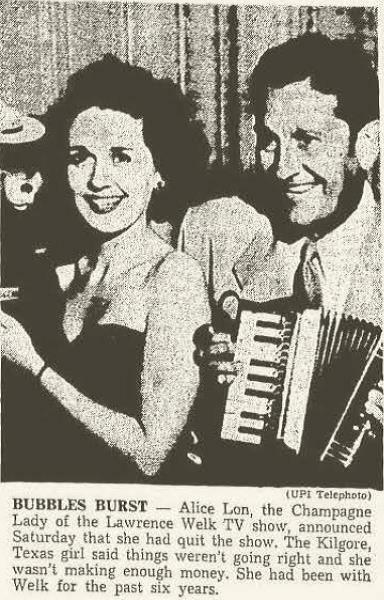 Lon made headlines in 1959 when she was fired for trying to dress too scantily. "Her knee showed too much. Cheesecake doesn't fit on our show,' United Press International quoted Welk as saying. "Our show goes into homes and I have always opposed anything the least bit immoral." Lon, for her part, said she left for more money. Lon was married to Bob Waterman and they had three boys together, Bobby, Larry and Clint. In 1981, Lon died at the age of 54 in Baylor University Medical Center. Welk conducted another national search, with live auditions given to singers including Joan O'Brien, before finally selecting Norma Zimmer.